This 3-day conference (Nov. 7-9), hosted by Altair and Renishaw in West Dundee, IL, covers a variety of topics related to designing for AM, and for manufacturing metal-AM parts. On the agenda: topology optimization, geometry creation, manufacturing constraints, part orientation, support structures, thermal distortion and residual stresses, design screening for AM suitability, and determining AM-processing parameters. Also, day three features operation-technician lead training, where attendees will learn the basics of AM-machine setup and tear-down, including machine calibration, build-plate prep, machine cleaning, powder handling and more. Learn more and register to attend. Nano Dimension Ltd., an Israel-based additive-electronics provider with operations in Santa Clara, CA, announced that it has sold two DragonFly Pro additive-manufacturing systems to the United States Armed Forces. Boeing, the Seattle, WA-based aerospace company, and Thermwood, a Dale, IN-based provider of manufacturing equipment, announced that they have teamed up to 3D-print a 12-ft.-long R&D tool for Boeing's 777x aircraft program. GE Aviation's plant in Auburn, AL, 3D-printed earlier this month its 30,000th additive manufactured (AM) fuel nozzle tip. Employees at the facility began producing the nozzle tip in 2015. Today, more than 40 printers are making the parts. 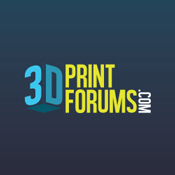 The rapidly evolving world of additive manufacturing is filled with questions, and we want yours. 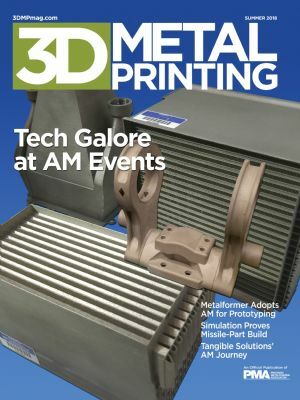 In her Additive Manufacturing Q&A column, Caitlin Oswald employs extensive experience and expertise to clarify issues surrounding the technology and its processes, and provides answers you can use. E-mail your questions for Oswald to Brad Kuvin, 3D Metal Printing publisher/editorial director, at bkuvin@pma.org. Are you attending FABTECH, November 6-8 in Atlanta, GA? Then be sure to check out the 3D/Additive Manufacturing pavilion, located in Georgia World Congress Center Hall B, and stop by to visit 3D Metal Printing magazine, published by the Precision Metalforming Association, at Booth B5635. The pavilion, now in its second year as part of FABTECH, promotes additive-manufacturing (AM) prototype and part production as well as production of workholding devices and production tools. Visit exhibitors showcasing printing machines, hybrid equipment, materials, software and other AM-related products and services. The Knowledge Bar, held in the 3D/Additive Manufacturing Pavilion, features small group sessions where attendees can ask questions about specific AM challenges and find out what's new from industry experts. These sessions, presentation-free, are all about engaging with knowledgeable people, working through challenges and meeting specific information needs. For the latest on exhibitors, technologies and presentations slated for the 3D/Additive Manufacturing pavilion, visit www.fabtechexpo.com.